Got A Special Love Story To Share? Tell Us About It For A Chance To Win Tickets To New York*! Calling all the bibliophiles around, this one’s for you! 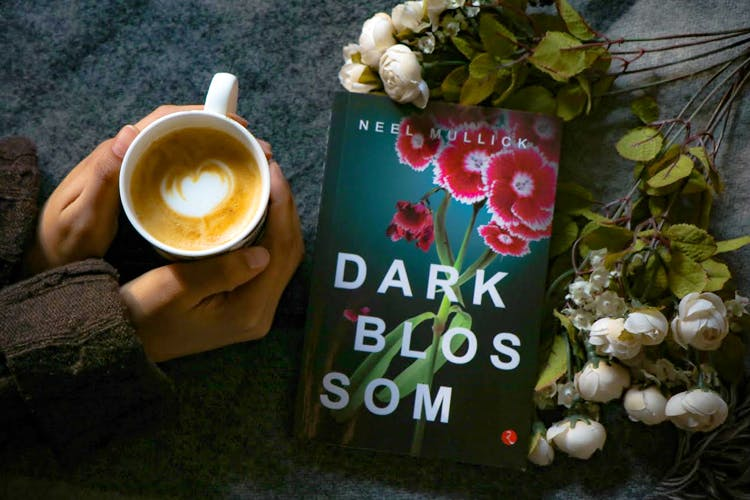 Neel Mullick’s latest book Dark Blossom is here and its gripping tale on the tumultuous relationship of family, love, and life has us hooked. Making things more exciting, we are giving away personally signed copies by the author to 50 LBB users. The fun doesn’t end here—if you’re one of the lucky winners, you’ll get a voucher for a free cappuccino at our all time-fave coffee shop, Barista! And there’s more. You’ll also get a hint from no other than the author himself to help you win tickets to New York! Too good to be true, right? Casual readers, drama lovers, travelers, aspiring vagabonds and everyone else who would love a compelling read. You need to add this one to your bookshelf if fictional literature tugs at your heart. Also, if you’re like any of us, we are sure you’ll have a love story of your own to share with us. Dark Blossom, taut with tension and intensity, is a glimpse of what lies under the surface of apparently ‘normal’ people and their relationships. Besides a thrilling read, it could also help two winners on their way to New York! Awesome, How Can I Win? This is easy. All you need to do is hit the ‘register’ button and answer a few questions with us. Be sure to get your stories in by 12 February (the winners will be announced on 14 February)! Look out for a call from us for all the details, in case we pick you as one of the winners. So get your creativity flowing. If you’re keen on meeting the author, earning a free treat, and getting a hint or two to help you with the journey to New York, stay tuned for an event close to you at WinTrip2NY. *Free tickets to New York can be won only by participating in the WinTrip2NY contest.